LEEDS – In an ongoing effort to keep graffiti from spreading, Bureau of Land Management staff along with community members spent Friday cleaning a rock art site on a trail near the Red Cliffs Recreation Area. Graffiti was removed from a site in the Red Cliffs National Conservation Area for the second time in a year, Susan Crook, Southwest Utah National Conservation Lands Friends director and land program manager for Conserve Southwest Utah, said. “Graffiti at cultural sites is like graffiti anywhere else. It needs to be removed as soon as possible to let people know it’s not okay to do this,” she said. The volunteers used sponges, brushes and water to clean the rock art site, and also cleaned graffiti from boulders and rock outcroppings along the trail. 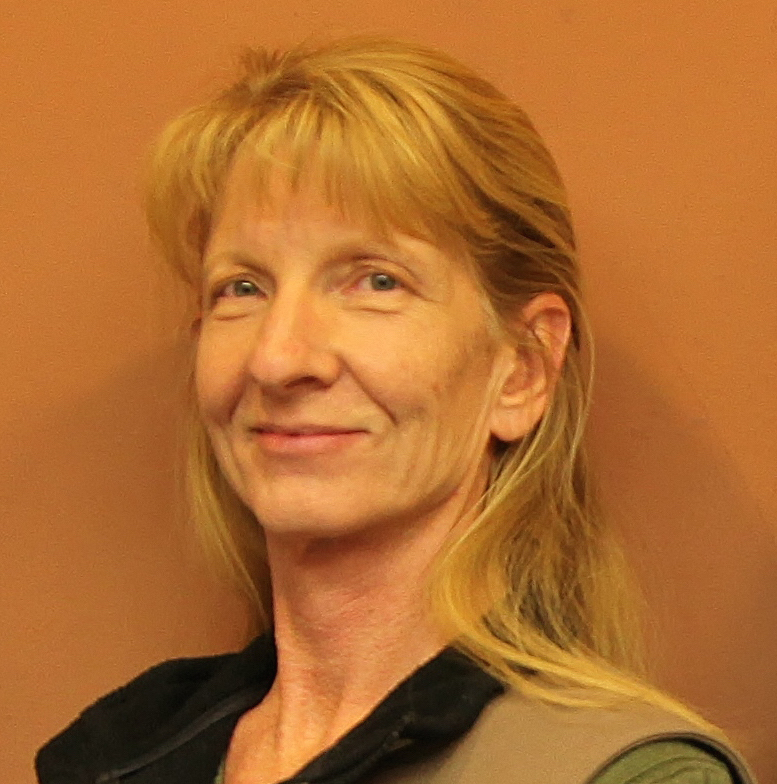 Overuse is a challenge, she said, but ignorance of proper etiquette at cultural sites is a bigger problem members of Conserve Southwest Utah and others are trying to change. 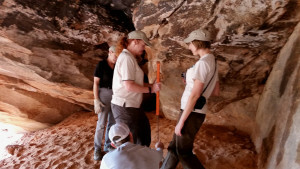 During the cleanup, BLM staff talked to visitors about the importance of protecting and respecting cultural sites like the rock shelter, Crook said. Signs reminding visitors to be respectful were placed near the site. “Fragile cultural sites and threatened and endangered plant and animal species need our help to be here if they are going to be here for future generations of humans to enjoy,” Crook said. At a similar cleanup project in the spring of 2015, decades worth of graffiti were removed from the same place. The BLM is addressing the problem with a statewide project involving non-profit partners to spread the “Protect and Respect” message and try to prevent vandalism, Crook said. “The cleanup is part of our ongoing Visit with Respect campaign to quickly mitigate vandalism and to educate visitors about cultural resource protection and site visit etiquette,” she said. Conserve Southwest Utah is the new name for the local conservation group formerly known as Citizens for Dixie’s Future. There’s defacing and DESTRUCTION happening at these two areas! 37.218552, -113.503111 and 37.218469, -113.501705 both within the RCDR…is this the cause for the booming? Whats happening here anyway…does STGNews know of anything?? ?